After being employed for over ten years, I longed for more freedom in my life. 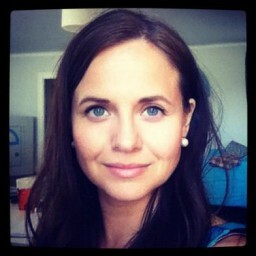 During my maternity leave (which here in Sweden is a whopping 18 months) I decided to take the plunge and become a freelance translator. And I’m not going to lie, it was scary. Thoughts of how I would survive without the security of a steady paycheck kept me awake at night. But I longed for something more. I longed for freedom—the freedom to choose where, when and who I work for, the freedom to say yes or no to a project, and the freedom to decide how much or how little I want to work. Now I have been translating for one year and I have a steady stream of work I enjoy in my area of expertise, I have a strong network, and I have a solid foundation and potential to continue building my translation career. Upon reflection, there are some specific things I did that I felt made a big difference in getting off to a good start and helping me to find my niche in this diverse industry. I’ll share some of my thoughts with you and hope you will find them useful. Although you might find some jobs bidding on online job boards like Proz without leaving the house, I suggest you start working on expanding your network and find someone who can serve as a mentor. Before I even landed my first client, I was lucky enough to be introduced to David Friedman. He was kind enough to sit down with me and answer the numerous questions I had about being a freelance translator. He also introduced me to other local translators so I could get more support, input, constructive criticism and encouragement as I started out. This definitely made me feel more confident as I dove into the translation world. David and the other established translators I met shared some of the mistakes they made in their early days, in the hopes I would not have to make the same mistakes. I still made some, but I definitely got the feeling that I managed to avoid several potential mistakes and establish myself fairly quickly. I joined my local translators association, the Swedish Association of Professional Translators (SFÖ), as soon as possible and immediately started volunteering to help organize events such as the International Translation Day event in Lund. I realized that being a part of an industry association and getting involved in its activities is a great way to build your network for several reasons. First of all, you meet other people who know your business, who can answer questions and who might even serve as a mentor. Secondly, established translators inevitably get requests for projects they cannot do on their own, either because they are too busy or because they are unable to (if it falls outside their area of expertise or is for a different language combination). A lot of times, these translators prefer to recommend a suitable translator to their client, as making a good referral builds their own credibility and reliability. So the more translators that know you and what you are good at, the greater the chance you will get useful referrals. 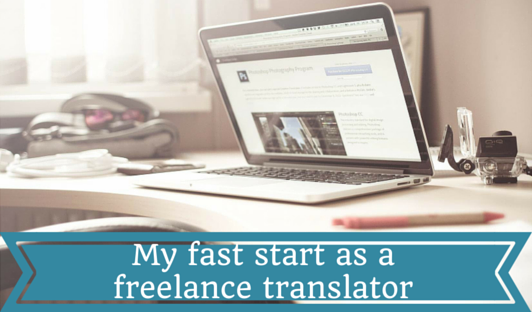 I went into the translation business with the mindset that I could translate anything. Just give me a text and I will sort it out, being a resourceful gal that knows how to do online research. However, I quickly discovered that I’m not really cut out to handle all texts. My test translations for translation agencies were either hit or miss depending on the type of source text. And I really did not enjoy translating legal or technical texts one bit. But I aced all my marketing tests. I could draw on my own professional marketing background, and they were fun to do! So know your strengths and what specializations you should emphasize to your clients. Face it, nobody wants an all-round handyman to renovate their kitchen – everybody wants the kitchen specialist. Before I even started my freelance business last year, the first thing I thought was “I need to get a website”. More and more people look for products and services online than ever before and most people have come to expect that any professionally run business will have a website. You don’t necessarily have to spend a lot of money to get a fancy website. I created my own for free by just spending a couple of days learning how to create my own WordPress site from a free template. And the time I spent on it has paid off, as I can see from the statistics that a lot of new clients visit my website before they contact me. Not only does having a website signal to potential clients that you are a professional, it is helpful in other ways too. It is an advertisement for your business that is open 24 hours a day, 7 days a week. And it can answer a lot of the questions that clients might have regarding your language combinations and areas of specializations. A short simple website can serve you well in the meantime, even if you would like to have a fancy website with lots of bells and whistles in the long term. This has been an exciting first year and I still can’t believe I’m fortunate enough to be able to do this for a living. I hope that you will find my thoughts on starting out useful and wish you the best of luck.